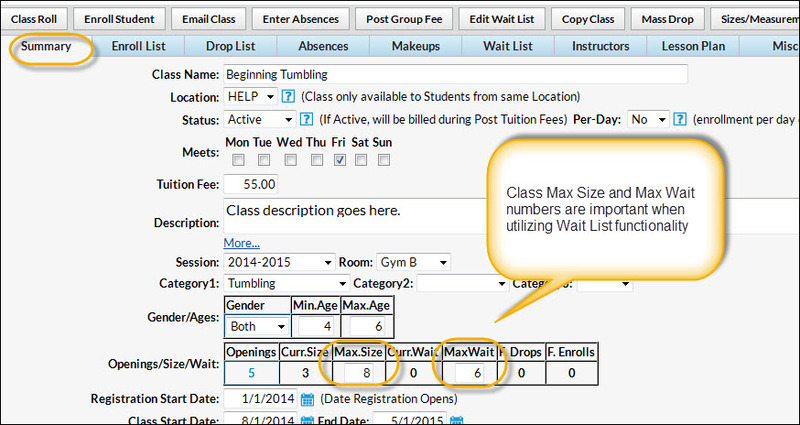 Each class should have a maximum enrollment number (MaxSize) and a maximum number of students that can be added to the Wait List (MaxWait). Once the MaxSize for the class has been met, students can only be added to the Wait List until the class has met it's MaxWait. Click the Edit Wait List button. In the Edit Wait List pop-up box, click the Add to Wait List button. In the Class Listings pop-up box, search for the student to add to the class wait list.